Brows, brows, brows!! Everywhere I look and read it’s all about having luscious brows and I just don’t get it. 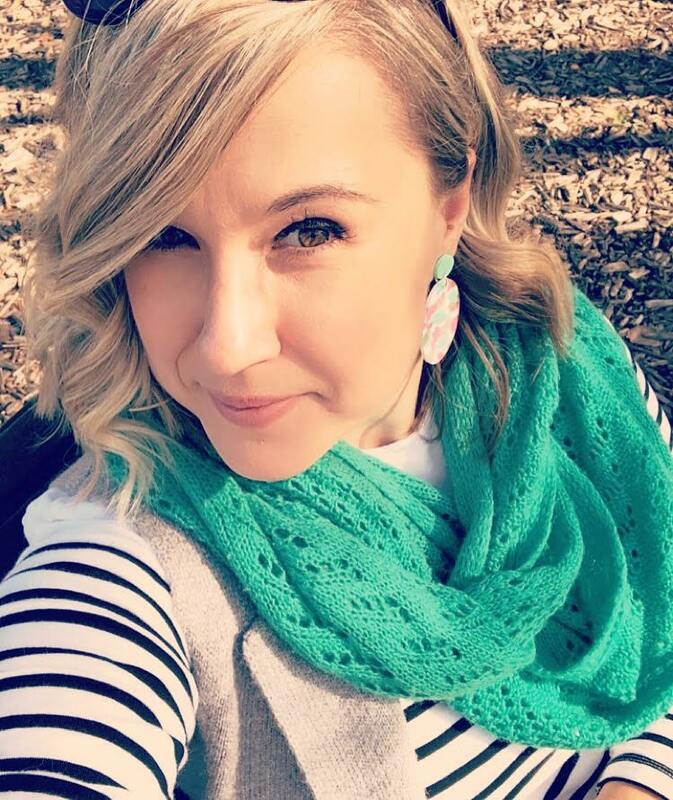 OK, I can appreciate the difference between the terribly over-plucked and and some fabulous caterpillars but I think all these new products designed for amazing brows are just lost on me. What can I say, I’m all about the lipstick y’all! But of course being the make-up obsessed lass I am I wanted to try the new Maybelline Brow Satin ($16.95) on the immediate! After trying out Brow Drama earlier in the year and being a fan I had high hopes for this new pencil. 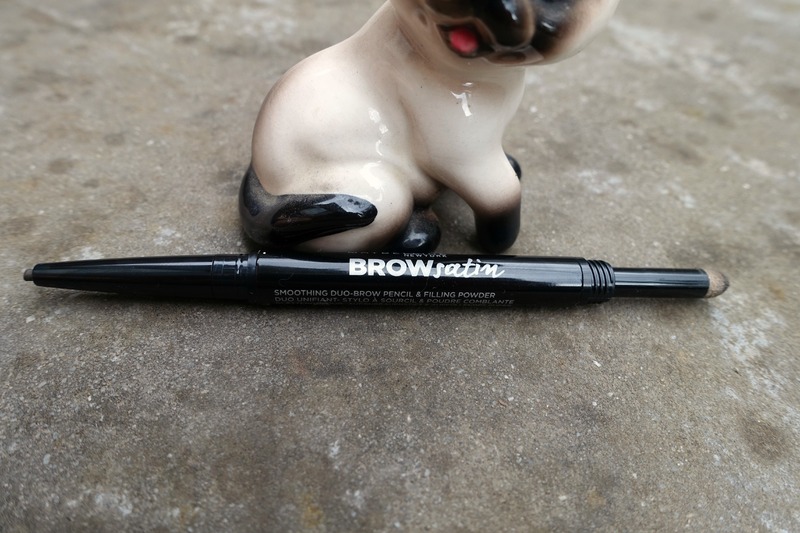 Brow Satin is a two-in-one product with one end being a mechanical pencil (no sharpening…woohoo!) and the other a powder filled sponge designed to smudge and fill in any gaps in your brows. This was super, super easy to use, as it really is a matter of filling in all the gaps, and for somebody who doesn’t usually do their brows this was a no brainer! The sponge tip felt like there wasn’t a huge amount of product going on (check out the swatch below), which is a good thing I guess, as you don’t want to overdo your brows. 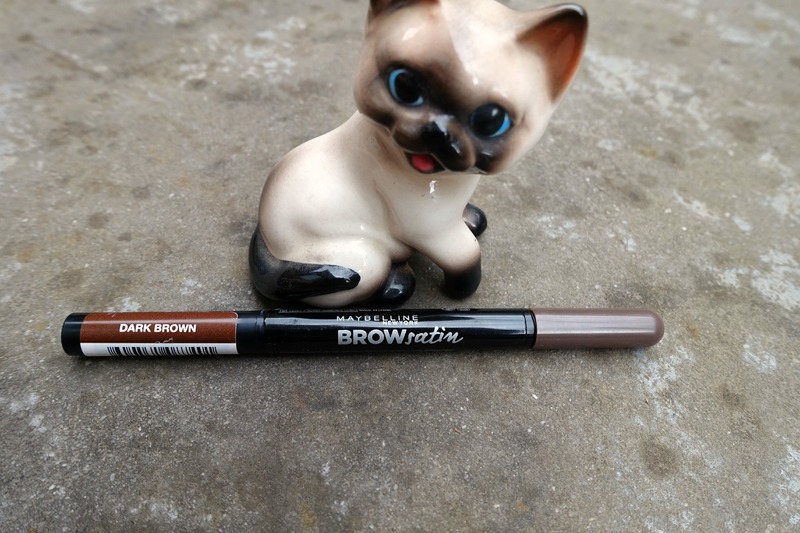 I think I much prefer Brow Drama as it’s more of a setting gel/mascara as I’m really in need of something that keeps those wiry suckers in place, but Brow Satin is a great pencil to use if you have sparse brows. There are three shades to choose from; dark blonde, medium brown and dark brown. I went with the darkest colour and think it was a good match for my naturally dark brows. Am I missing out on not being brow obsessed? 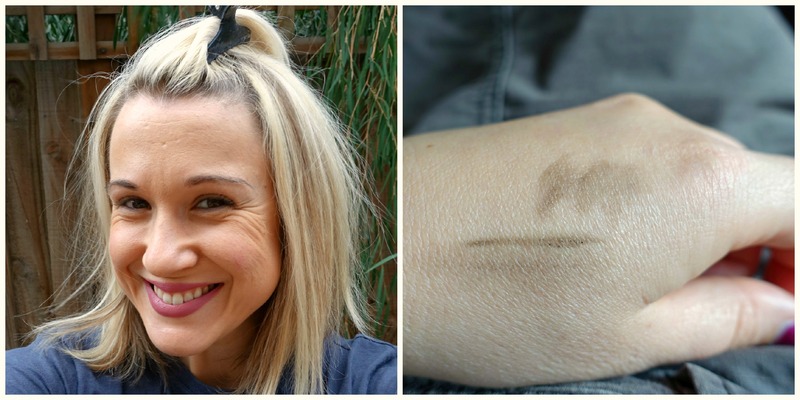 Should I be concentrating on my brows more than I do my lippy? First: I love this pencil on you. Very natural! Second: That cat is adorable!! I am a fan of a nice brow but I have come to the conclusion I will just never have those amazingly shaped brows I see floating around on Pinterest. That’s fine by me as getting them groomed tends to be enough of a chore. I have never used anything on my brows, I have dark blonde/light brown brows so they are pretty obviously there, but apart from normal waxing and a brush to keep them in line I don’t touch them. I too have noticed the huge brow obsession of late and didn’t understand them. What do you use for your fab brows?